Here we look at five players who debuted after Tendulkar's arrival in International cricket but ended their careers being in a better position than the big man. 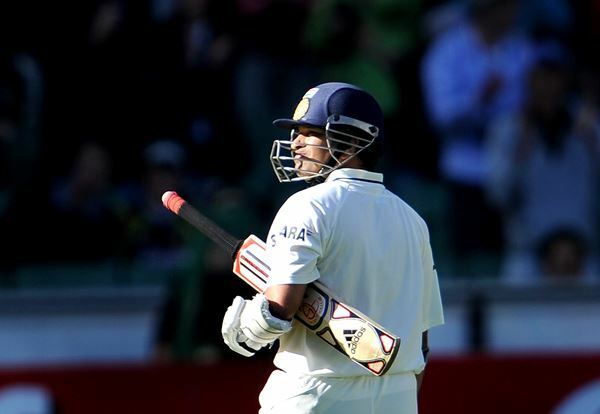 Sachin Tendulkar’s runs tally in Test cricket are considered Mt. Everest for any player to climb due to a lot of factors. Tendulkar survived many injuries in his career that lasted 24 years. Starting his career at the age of 16 helped the master-blaster to feature in as many as 200 Tests and pile up 15921 runs. If Sachin’s career is to be cut into two halves, the numbers look solid on both sides. In first 100 Tests, Tendulkar aggregated 8405 runs and 7516 in the next 100 matches. There are many players who have bettered Tendulkar at some point in their careers but failed to carry on the hype and expectations. Some players peaked late in their career only to fall short of Sachin’s big record. Here we look at five players who debuted after Tendulkar’s arrival in International cricket but ended their careers being in a better position than the big man. Andy Flower one of the few players that Zimbabwe produced who went on to match the big names with his batting. In his 63-match Test career, Andy aggregated 4794 runs at an average of 51.54 with 12 centuries. He went on to claim the No.1 spot in the ICC Test batting rankings as well. 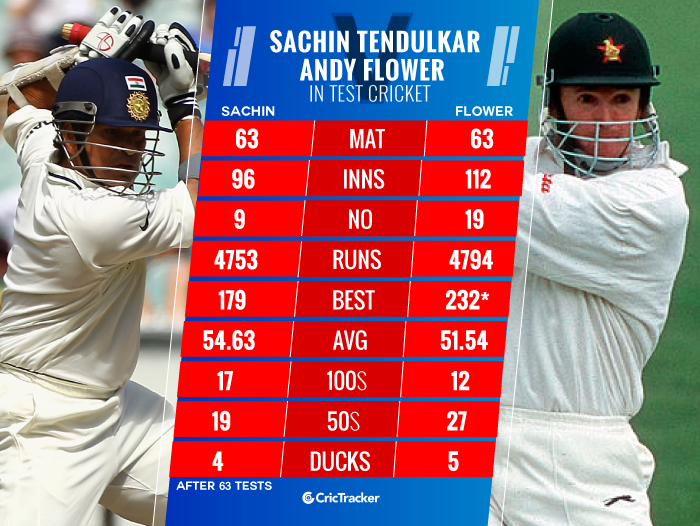 After 63 Tests, Sachin had scored 4753 runs; 41 less than Flower. However, Tendulkar had played 16 innings fewer than the Zimbabwean at end of the 63rd Test match. In the same number of innings, Sachin had 5673 runs to his name leading Flower by nearly 900 runs.